Homes at the Apple Valley Lake in Central Ohio are selling well and 2014 could become one of the best real estate years at the lake since the market correction in 2007. This year homes at the Apple Valley Lake have SOLD extremely well and have already recorded 104 homes sales through November 10th, 2014 with many more Apple Valley Lake homes to sell before the end of the year. Glad to hear the Apple Valley Lake market is so strong Sam. I know many markets are seeing the some great numbers as well! There have already been more than 100 residential homes sell at the Apple Valley Lake so far this year and it looks like it could possibly be another record year. 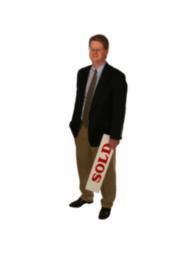 Sam - Congratulations on another sale in Apple Valley Lake. This is a really nice looking Apple Valley Lake home and it is great that it has already SOLD!!! Great job on another KNOX county home sale!